After receiving nominations from our Expert Advisory Board, we now have a shortlist of five nominees who have made a significant and long term impact on the 3D technologies industry. 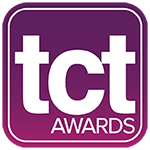 One nominee will be inducted as a Hall of Fame member – but who do you think deserves to go into our prestigious TCT Hall of Fame? Through a career spanning 30 years, Graham Tromans has worked tirelessly in the development of applications for additive technologies — initially through his work with Rover and Jaguar Land Rover and latterly as advisor and consultant to industry. He has also been responsible for educating thousands on the fundamentals of additive manufacturing globally through his regular lectures at tradeshows in the UK, Europe, Asia and USA. Graham serves as the Chief Consultant to the Chinese 3D Printing Technology Industry Alliance and is Chairman of the World 3D Printing Technology Industry Alliance Council. Active in ‘rapid prototyping’ since 1990, Phill Dickens has been at the heart of the UK’s AM community for nearly three decades. His work at The University of Nottingham produced some of the early innovations in the processes while his teaching and mentoring helped to switch a generation of young engineers on to AM — many of whom are making their impact on the industry today. He is active as a consultant to industry, lobbyist for the technologies and serves on the UK AM Strategy board. An early pioneer in the AM industry, Professor Levy’s contributions began in 1997 as the originator and head of the iRPD Institute for Rapid Product Development. The long-term fellow of the CIRP, has a career comprising of both researcher and consultant. Prof Dr. Levy holds over 30 patents and has published over 200 scientific and technical publications. His work also involves the development of Selective Laser Sintering (SLS) materials, including the widely used, SLS PA-12. He is currently active at Technology Turn Around (TTA), consulting major players in industry education and research on AM." Terry Wohlers is principal consultant and president of Wohlers Associates, Inc., an independent consulting firm he founded 31 years ago. He has provided consulting assistance to more than 260 organisations in 26 countries, as well as to 180 companies in the investment community. Wohlers has authored 400+ books, articles, and technical papers, given 150 keynote presentations on five continents, and appeared on many television and radio news programs. He is a principal author of the Wohlers Report, the undisputed industry-leading report on additive manufacturing and 3D printing worldwide for 23 consecutive years.